To join our team, please contact us by email, or ring Paul on phone: 087-6381768. 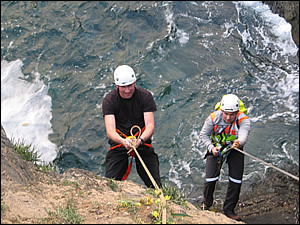 The Tramore Cliff and Waterford Mountain Rescue Team is currently recruiting new members. The team has been proudly serving the community since 1978 and wishes to expand in to meet the demands both on the hills and the cliffs. The team also takes part in several other Irish Mountain Rescue operations on request. All new members must be over 18 years.